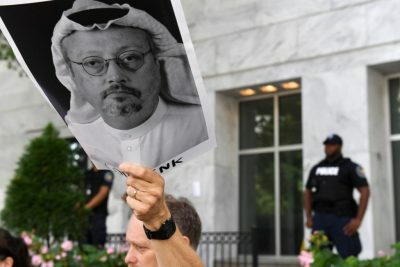 The Saudi regime has admitted that journalist Jamal Khashoggi was killed in the Saudi Consulate in Istanbul. Foreign Minister Adel al-Jubeir has claimed that the murder was a “tremendous mistake.” One member of the 15-man team suspected to have killed Khashoggi was dressed up in his clothes and captured on surveillance cameras around Istanbul on the day of the murder. Since March 2015, Saudi forces have waged a terrible war on Yemen. This has created what the UN has called the worst humanitarian crisis in the world. Last week the UN reported that Yemen is on the verge of the world’s worst famine for 100 years. “The Saudi regime has an appalling human rights record, and has used UK arms to commit atrocities in Yemen. Now it has murdered a journalist.